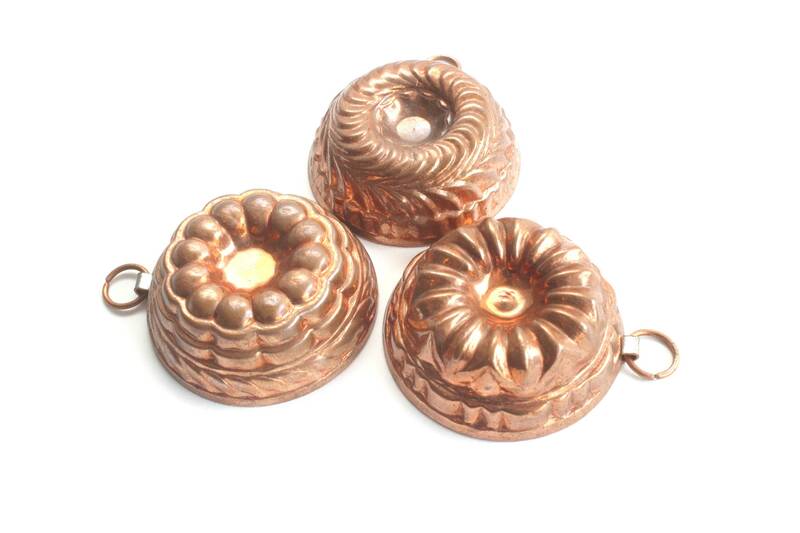 Set of 3 - Miniature copper dessert molds. 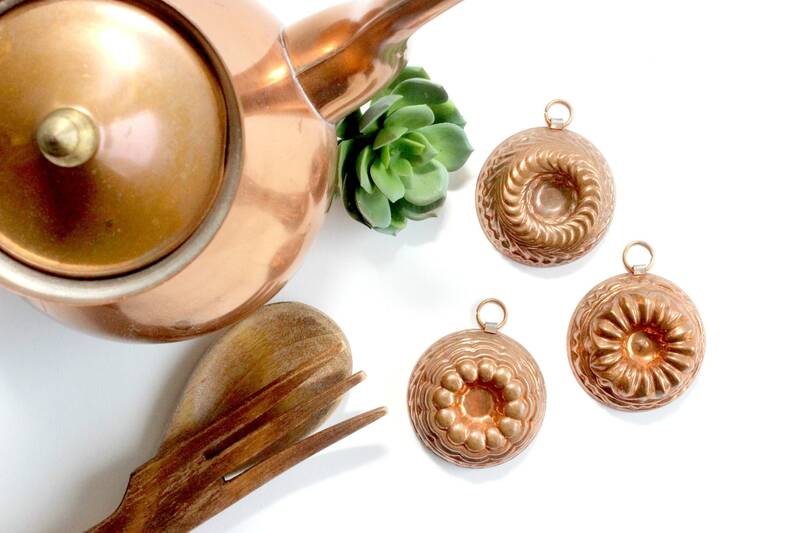 Adorable Swiss made copper molds perfect for decorating in a small space. 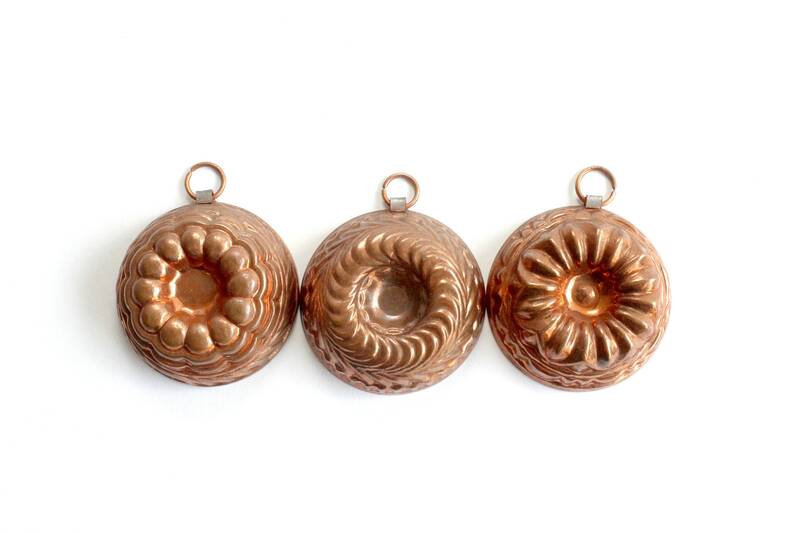 Each mold has a unique design and a hook for easy hanging. 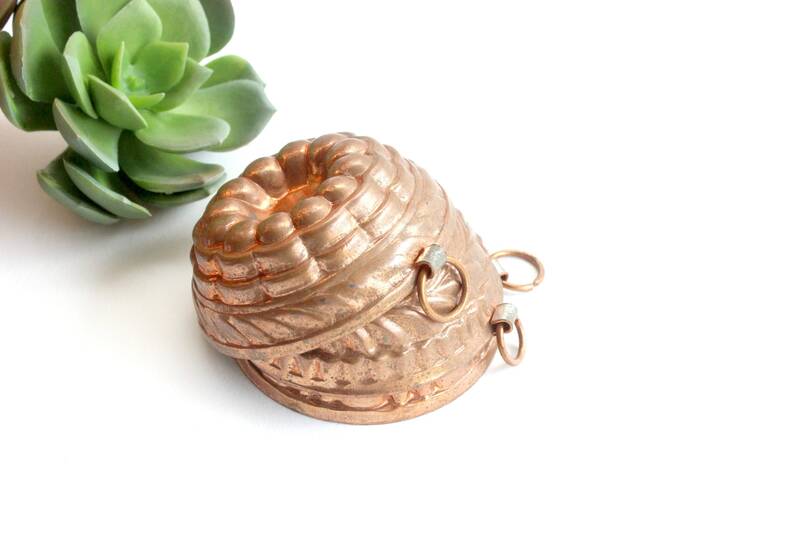 These also make really cute gift wrap embellishments for a baking/cooking themed gift! Good vintage/used condition. 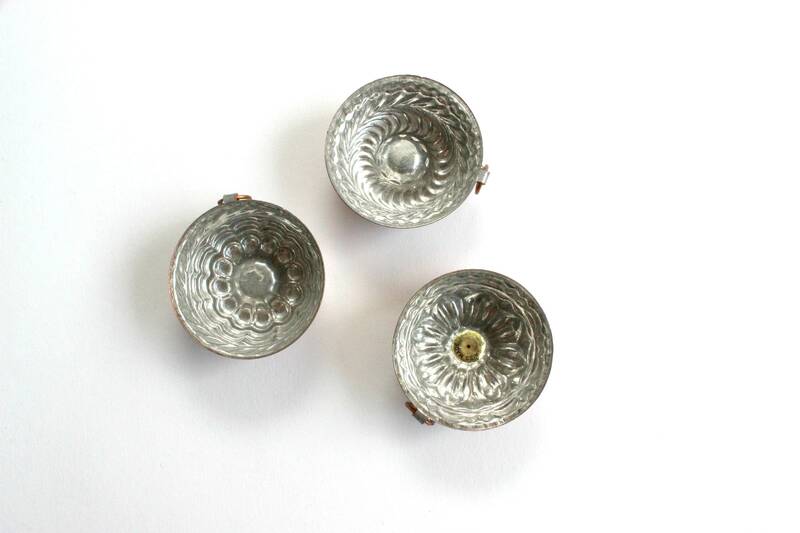 A light patina exists. Molds measure 2 inches x 1 inch.